Based out of Los Angeles, Calif., WITHERFALL is the collective brainchild of guitarist Jake Dreyer (Iced Earth, Kobra And The Lotus, White Wizzard), singer Joseph Michael (White Wizzard) and the late Adam Sagan (Circle II Circle, Into Eternity). The recording lineup is rounded out with the addition of acclaimed Bassist Anthony Crawford (Allan Holdsworth, Virgil Donati). 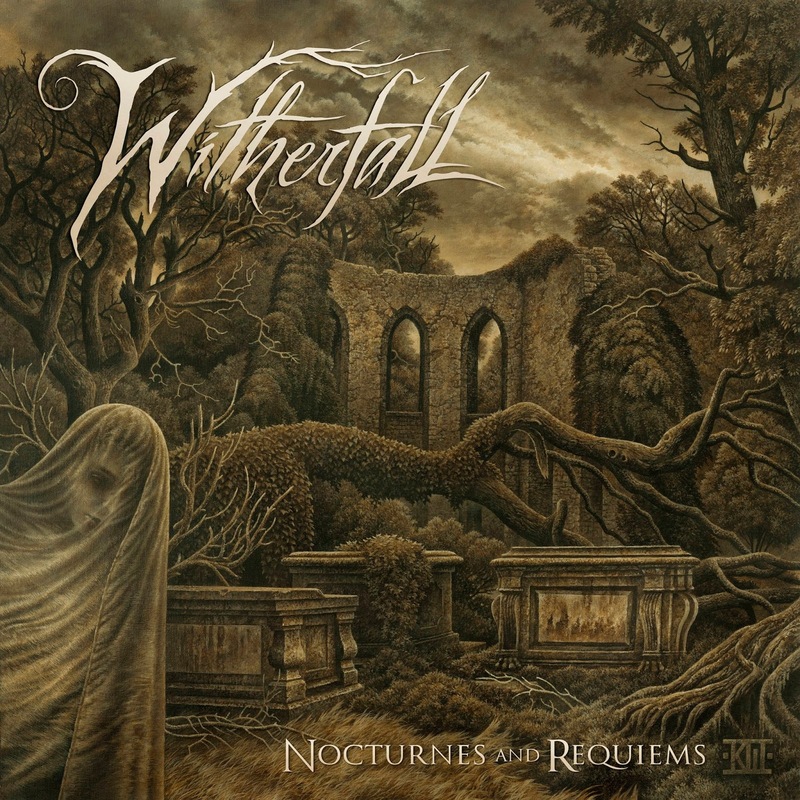 WITHERFALL are set to release their debut "Nocturnes And Requiems" on Feb. 10. During the recording process and subsequently after, the band shot a series of album trailers that will be released over the coming days. The second trailer has been made available for viewing. This trailer discusses how WITHERFALL and their album "Nocturnes And Requiems" came to be. The first album trailer covers the album's exceptional artwork by Kristian Wåhlin. Digital, CD, and Vinyl pre-orders are available HERE. Vinyl colors include black and a commemorative Adam Sagan translucent (limited to 100 copies). The album's first single "End of Time" is available for streaming via lyric video HERE. The album's second single "Nobody Sleeps Here, can be streamed HERE. 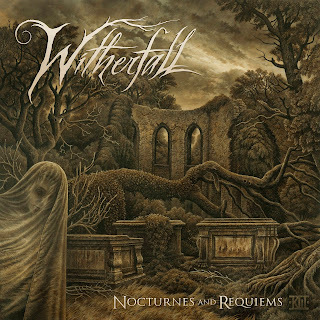 WITHERFALL headed to Phoenix, Ariz. to self-produce their debut album, "Nocturnes And Requiems", with engineer Ralph Patlan (Megadeth, Brian "Head" Welch, MSG) in late 2014. The album was then sent on to New York City for mixing and mastering by Chris "Zeuss" Harris (Rob Zombie, Queensrÿche, Hatebreed) at Planet Z. Resulting in eight masterfully executed tracks featuring the group's dynamic blend of darkened melodic and progressive metal. The band collectively said, "This, as we know, is the last piece of work that Adam contributed and played on. Adam's talent, passion and personality is woven throughout every part of this record as he was easily 1/3 of the creative force. "Nocturnes and Requiems" was a name that Adam eerily came up with one evening when we were figuring out album titles would not have sounded the way it does now without his immense contribution on and off the drums. Adam, we love you and it's a tragedy that you were not able to see this release. You will always and forever be a member of WITHERFALL. Rest In Peace man."